Only Sinn Féin has the courage, leadership and vision to fix the broken health service. Sinn Féin has a positive plan to address the acute issues and a vision for a truly public health service. 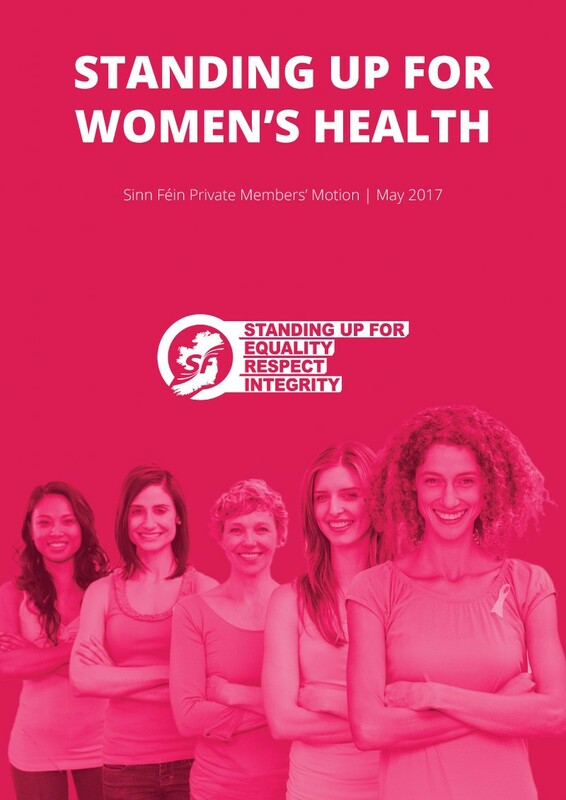 Sinn Féin's Maternity Services Private Members Motion has passed in the Dáil in a major victory for women's health. We in Sinn Féin are great believers in when something is broken, you stop and you fix it. It is time now for us to stop and to fix the crisis in our public health system. The health services are in a perpetual state of chaos – Waiting lists continue to soar, exhausted staff are leaving in droves, and there is a dangerous lack of capacity in our ambulance services. 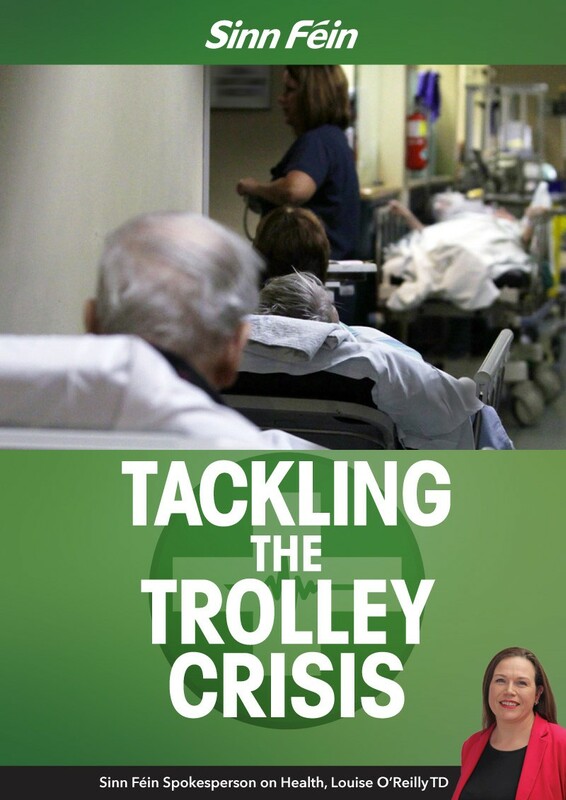 Hundreds of people wait on trolleys for hours on end in our accident and emergency wards every single day. They are stripped of their dignity and of their basic human right to health care. Endless reviews don’t work, committees don’t work, kicking the can down the road doesn’t work. The Winter Initiative hasn’t worked. The National Treatment Purchase Fund will not work in the long term. The people need solutions that work. For Sinn Féin the long-term solution is clear – we need an Irish National Health Service. One that is truly public. That provides healthcare on the basis of need, not on who you are, where you live or how much money you earn. A system that is funded by progressive taxation. In the immediate term we need to end the chaos in the system we have and we can do this by making bold decisions and focussing on solutions. It is past time for action on healthcare. It is time to end the chaos, fix the problems and build towards a truly public Irish National Health Service. Increase spending on healthcare by €3.3 billion to move from a failing, two tier health system to universal healthcare. 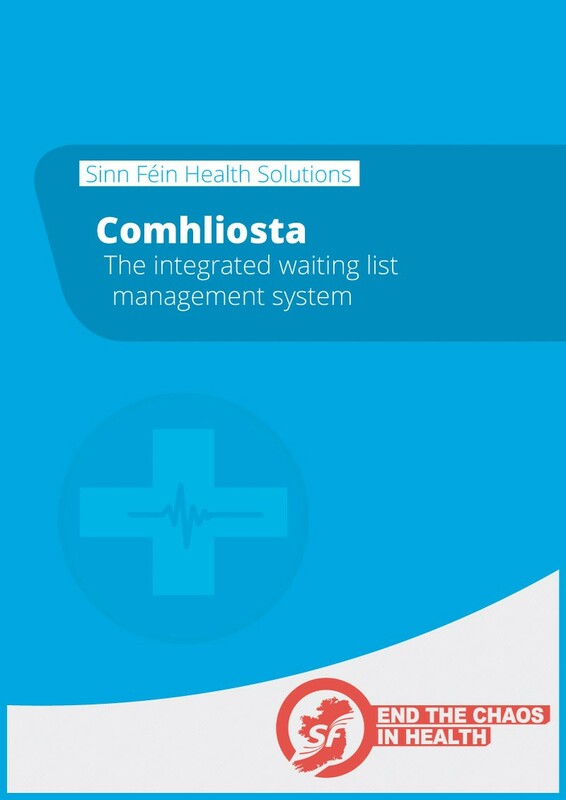 Recruit 6,600 additional frontline health workers including nurses, midwives and consultants. Roll out free GP care and free prescriptions. End two-tier access to hospital care and deal with the trolley crisis. Invest an additional €15 million in the ambulance service. 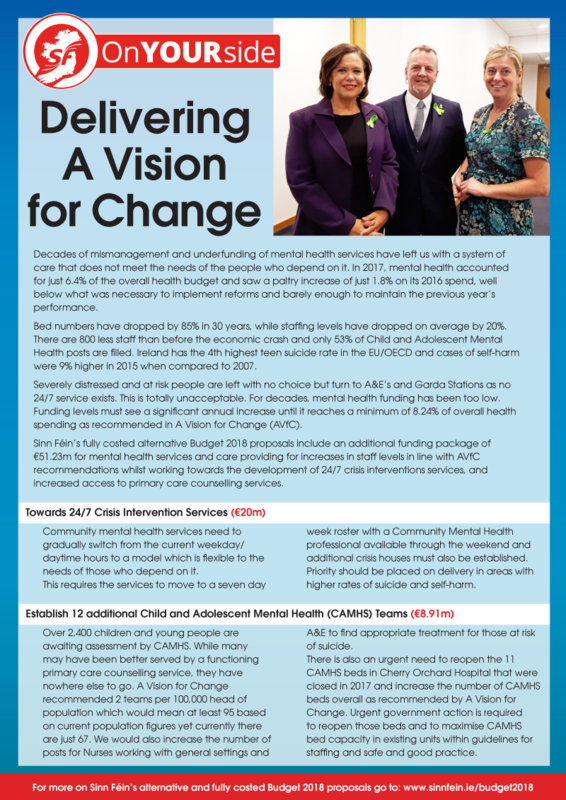 Prioritise disability services and mental health. Support older people by increasing home help hours, respite hours and providing additional nursing home beds. €3.3 billiún breise a infheistiú chun go mbogfar ó chóras sláinte éagothrom dhá leibhéal go dtí cúram sláinte do chách. Earcófar 6,600 oibrí line tosaigh lena n-áirítear banaltraí, mná glúine agus comhairleoirí. Deireadh a chur le rochtain dhá leibhéal ar chúram ospidéil agus déileáil le géarchéim na dtralaithe. Tacú le daoine scothaosta tríd uaireanta cúraim bhaile, uaireanta cúraim faoisimh a mhéadú agus leapacha breise i dtithe altranais a chur ar fáil.